TENMAT’s high temperature engineering materials and structural insulation boards provide outstanding service in arduous applications where high temperatures or heat transferences are a problem or where long term insulation at temperature is required.TENMAT’s SINDANYO grades are designed to operate at elevated temperatures offering, primarily, thermal insulation performance, but also outstanding electrical properties. Highly resistant to thermal shock, these products exhibit low heat storage and thermal conductivity properties, making them the preferred choice for energy conservation applications. SINDANYO is available in boards and machined components. The grades are variations of specially selected cement and fibres for outstanding performance. SINDANYO H91 is the most well developed asbestos-free cement board available. 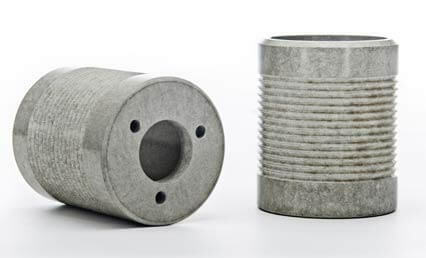 The material exhibits excellent strength even at high temperatures up to 700°C. SINDANYO L21 has a continuous operating temperature up to 230°C. SINDANYO can be treated to reduce the possibility for moisture absorption by a sodium silicate dipping (indicated by the suffix 3 e.g. L23) or silicone impregnated (indicated by the suffix 6 e.g. L26). L21, L23 and L26 are ideally suited for arc chute applications having been approved and in use on transportation and power station switchgear throughout many countries and for many years. H91 is used in heat and electrical insulation applications in induction furnaces, billet heater boxes, oven cladding, cathode support pads, furnaces and smelters. It is THE industry standard for high temperature insulation boards and structural insulation boards. SINDANYO is available as sheets (1245mm x 940mm) with thicknesses ranging from 6mm-75mm, as well as in complex 3D shapes according to customer specifications.